Two families journey to Florence on holiday, Nico with his mother and her boyfriend James with whom he does not get on. Mother and son are obsessed with the novels of E .J .Holm, murder mysteries set in Florence, and Nico is determined to find out who the real identity of the author. The twins, Jade and Amber are determined to find the truth about their nonno, their Italian grandfather who fled Italy during the Second World War and told them he could never return. They are keeping this quest a secret from their mother, his daughter. The young people, who are staying in apartments in the same house with their families, decide to cover for each other to allow them the freedom to carry out their searches. For the girls the secret is not what they expected and hard to deal with, and the reader learns in parallel the actual story of what happened in the farmhouse when the partisans and English spy were attacked, and the terrible reprisals that were made on the local population. For Nico who loves to draw and is a Goth, his quest is less painful and during it he finds out what to do with his life. It is Nico who is prickly and finding his mother’s concern for his safety following a bad illness who enables the girls’ to find the uncomfortable truth about their beloved nonno, and comforts Jade who accepts it more easily than her twin. He stands out, a young man of 16, already on his own path in life, obsessed with the books and their background, trying to find the clues but all the while with his drawing book in hand, sketching everything he sees, and soaking up the glorious art in Florence. The twins, so different in temperament but determined to find out the truth, which they then find so difficult to handle, (and who would not), make a good foil for Nico. The background of E.J. Holm’s books, the war in Italy, and the details of the painting Primavera by Botticelli make for a complicated story and the reader needs to concentrate to follow the different threads at times. It would have been good to have a short list of further reading about the war in Italy, and also the art works mentioned, for the reader to follow up any interest they had in either of these threads. 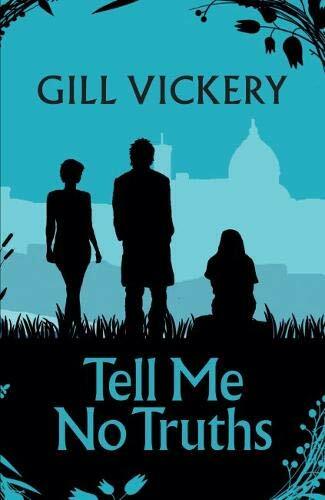 Gill Vickery has written a very readable, many layered and interesting story, bringing the past and the present together. It is refreshing to read a story for teenagers with real depth, and particularly in Nico, featuring a young man with intellectual curiosity.